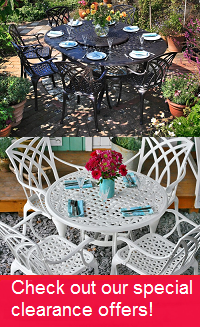 There is high demand for the June table & 6 chair set in timeless Antique Bronze, but why not try one of the alternative colours we have available, such as in brilliant white or sleek slate, to help give your garden a more contemporary update. You could even save yourself a few pounds as we often have some great deals on these stunning alternative colours. The whole procedure was easy and went smoothly. The items are very good quality and exactly as shown on the website. Would definitely recommend to others and use again! Bestseller - This product is in high demand, buy now before we sell out. Special Offer - For a limited time only, the June in Slate and White are on offer. Click the swatches below to take advantage of this great deal while it lasts. Simple but time consuming to put together. 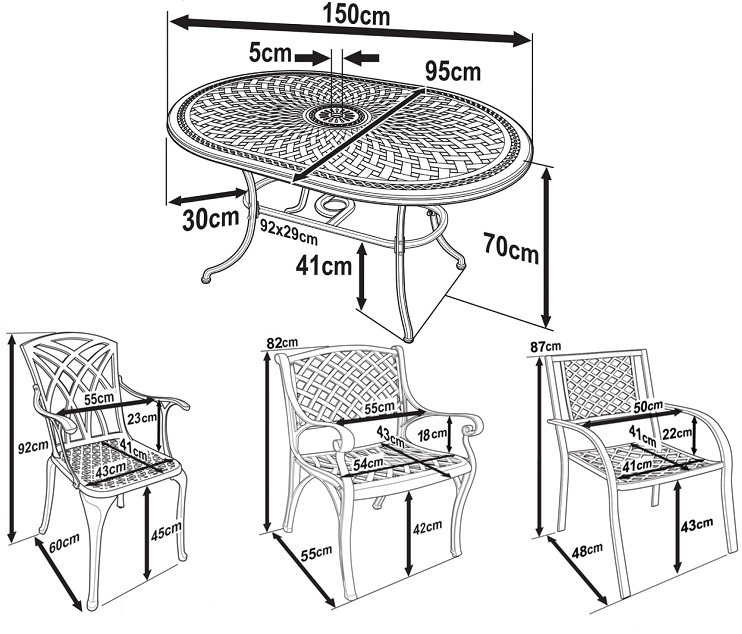 Unfortunately, no table arrived with delivery then 2 turned up on consecutive days so second table returned, also no spring washers included with table although clearly shown on instructions. Very easy to order, great selection and dispatched promptly in good condition. Great product. The table and chairs arrived as planned. We are very pleased with the furniture. Lovely sturdy furniture and easy to assemble. Excellent all round service. Highly recommended. Outstanding service! Fast and efficient delivery; communications before and after delivery were fast, efficient and friendly. We had previously ordered from a competitor, and had significant problems. Our experience with Lazy Susan could not have been more different. Very prompt delivery and easy to assemble. This review would have been 5* but the fittings pack didnt have the washers...we had to go to a hardware store to buy them. Very frustrating! Fundamental error that should have been picked up on quality control. Still end result was just what we wanted so thank you. The table and chairs arrived in two deliveries which meant I had to stay in for two days. This was due to Parcel Force. The table has a slight indention with metal showing due to a knock before wrapping as the box was undamaged. 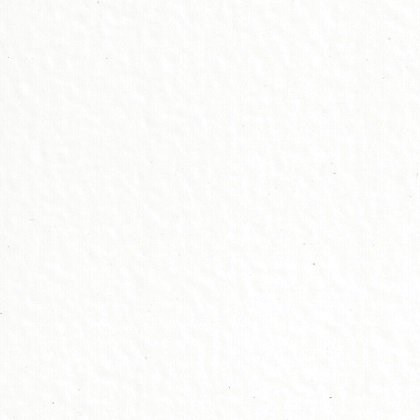 I was happy to paint this small blemish. Both the table and chairs were easy to assemble and the finished product looked as good as the photos.